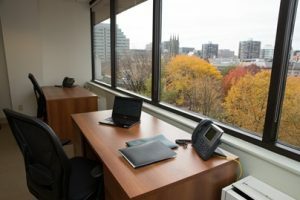 For the business that requires a full office program, Connecticut Business Centers’ signature office space impresses clients – without breaking the bank. Our concept of executive office space is what today’s leading companies need to help them succeed: fixed pricing, flexible terms and all the amenities discerning clients have come to expect. 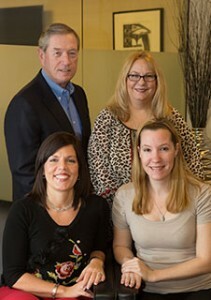 Strategically located in center of Stamford, we’re convenient for your clients, employee or vendors. Our experienced staff is here to understand your goals and deliver the best workspace solutions for you. The modern, spacious offices found at Connecticut Business Centers are the perfect environment for maximizing your company’s productivity. In addition to being fully furnished, our executive suites feature state-of-the-art telecommunications infrastructure and many additional benefits. Choose the space that’s right for your business, from private offices, office suites and team rooms to conferencing facilities for up to 35 attendees. Modern décor, featuring welcoming reception areas, attractive artwork and expansive views from large windows. Enjoy executive-quality desks, chairs and storage pieces, configured to your specifications. Private offices, office suites and team rooms come equipped with the latest technology, including lightning-fast internet and Wi-Fi networks. 24/7 secured access to your office space. Maintenance, utilities and cleaning service included. Straightforward, easy to understand pricing helps you plan and budget accurately. Connecticut Business Centers’ courteous, skilled administrative and technology staff can get your company up and running in a day – because we know time is money. Let our friendly administrative staff handle all the duties you don’t have time for: call answering, mailing, word processing, filing, copying and more. Our IT specialists can set up your computer systems and Internet connections, as well as provide ongoing troubleshooting assistance. It’s our way of helping your business succeed. We are an excellent resource for long- or short-term office space, virtual office space and conferencing. With our team as an extension of your business, your company will enjoy greater visibility and an increased presence in the heart of Fairfield County. 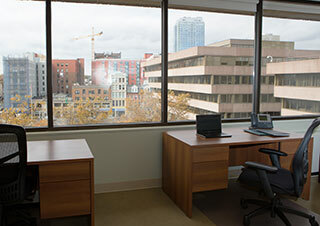 Let us be your executive office space solution! Simply complete the form to the right or contact us directly at (203) 359-5600­, and we will have you up and running in a day.